This article explains the Project level of data organization in SPM and EDGE. 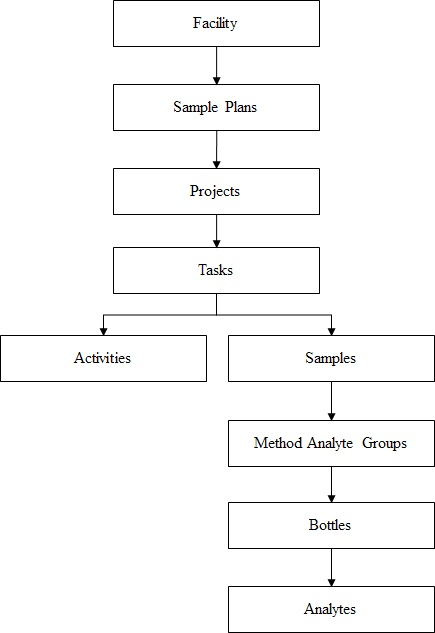 The image below shows the information stream in SPM/EDGE related to projects. 1.In EDGE, add a new row to the "Task" tab. 2.In EQuIS Professional, add a record to the DT_TASK task table. In SPM, the project is now available in the “Project #” drop-down in the Planned Task editor > Task Details tab. Go to Field Sample Form for more details on how to configure the FieldSampleForm. 3.Select a task from the Task Chooser. 4.Select a location from the Location Chooser. 5.Click “New” to create new sample record. The project information will be displayed in the project fields.